I Strongly Feel About it.. Do you? Enter Jaisalmer and you cannot miss the beautiful golden fort that arises amidst the sand dunes and sandstone buildings. The golden rays of the sun adorns the city furthermore. It is known as the Golden City for a reason. Jaisalmer, located in the heart of the Thar Desert, is a mere 300 km from the Indo-Pak border. With most of desert, it stands in one of the top destinations of travel addicts. Husband and I had been planning for a vacation since the time we got married. But we couldn’t take some time off from our demanding jobs and our vacation plans were postponed time and again. It was he who came up with the idea of a Rajasthan trip and honestly, I wasn’t too keen on it, especially the camel ride which is a must-do on a visit to Jaisalmer. I went hysterical when Dad warned me against sitting on a camel, forget riding it. It was terrifying when I heard him say that it was going to be difficult. Ah, well I should believe him as he had spent a good couple of years at the Jaisalmer border while on duty. But then, on one beautiful evening with a heart full of fear and speculations, we started our trip from Delhi to Jaisalmer. After having peacefully slept during the first half of the train journey, I was taken aback to see the beautiful terrains where deers were seen everywhere happily grazing and hopping. I knew that it was love at first sight. I fell madly in love with the place. After visiting the popular spots in and around Jaisalmer, we set towards the Sam Sand Dunes. With a stretch of 2 km, the band of dunes is undeniably one of the most picturesque, I have ever seen. And then I met him, my new humped friend, my ride, my chauffeur – Bablu! I was scared like a little puppy when I was asked to sit on him. I looked at my husband and he simply said its okay if I don’t want to. Now that my ego was hurt, I bravely climbed upon him. My heart was in my mouth. Yes, it was strange and awkward until he got up. Then, it was scary. If you do not listen to the caretaker of the camel, you would in fact, see both the worlds. There is a technique to hold on to the camel when it sits and stands up. The thoughtful caretaker had put up cushions all around us and propped up our saddles to ensure we were as comfortable as possible. Though husband and I were freaking out for the first couple of minutes, the ride was fun. Happily singing songs and listening to some stories from the caretaker, I began to truly enjoy the ride. Apart from my regular shrills and screams, it was a fun thing to do. The navigation wasn’t as smooth as one would speculate. The chafing was brutal. I was lucky that I dressed ideally for this experience by wearing a jeans. Oh, do wear pants – it will be HOT, but much more comfortable than raw chafed skin requiring ointment! I knew my husband was having a hard time as he was sitting on the camel’s hump. Ha, so much for scaring me! As we sat on the sand dunes watching the beautiful sunset, I looked at Bablu. He was beautiful. But that teeth scared the hell out of me! But, aww, look at him! The caretaker made a stop for about fifteen minutes so that we could enjoy the sunset and dip our feet in the sand. It was a peaceful experience in all to sit back and relax watching the sun go down across myriad sand dunes. He insisted that I go on a ‘Camel Run’ as well. But no, I wasn’t that brave. It is nothing like the magical sunsets over the mountains and seas. The sunset here has a charm of its own. The beauty of the amber sand, the warmth, and overall atmosphere allows you to embrace your surroundings and soak up the full experience. While I was letting it all sink in, the husband made chitchat with the caretaker. It is only from December to March every year, that the camels are set for the rides and safaris. While you may think it is a good thing, the men have a hard time trying to make the ends meet during the rest of the hot and humid months with no tourists around. There are many camp sites set up here in the Sand Dunes. Do not pre-book anything and you can always get the best rates. We got a deal of 3000 Rupees for a 30 minute camel ride, dinner, Rajasthani music and folk dance at a nearby camp site and the pick up and drop at Jaisalmer city. You can also take a ride in autos from the city to the Sand Dunes but I wouldn’t recommend that. The colourful Rajasthani Pagdi, the folk music played in instruments like Shehnai, Poongi and Damrus and the dance made it a grand evening. It is a delight to hear and watch Rajasthani folk musicians, who often perform on stage with the group. While some songs were heartbreaking, the others were witty. The musicians pointed towards us and sang a beautiful love song. But what caught my attention was the songs involving local culture and daily activities like drawing water from well, harvesting or celebrating monsoons. Rajasthan has many forms of folk dances which are popular all around the globe. Whether it is the the Ghoomar dance from Udaipur and Kalbeliya dance of Jaisalmer, each dance form is so different from the other that only a skilled one can do it. I love them all and watching them go around and round in Chakri dance form (meaning Circle) or balancing more than 8 pitchers/earthern pots on their heads and dancing simultaneously in Bhavai is jaw-dropping. Safaris are available from 1 to 6 days with overnight stays in the campsites. The price range is between 1000-2000 Rupees per day per person. Bookings can be made from your local hotel, tour manager from your selected provider, or online. Your taxi driver can help you too. Camels will transport passengers, baggage, and supplies, so do treat them ethically and pack light. The accommodations are only basic. November to March – for it is cooler in the day time and sightseeing and camel safaris are much more enjoyable. It is hot during the rest of the year. I am glad I went on this trip with my loved one and this is one of the most memorable moments of my life and I would never forget Bablu. Do you like Rajasthan? Have you been on a Camel Safari? Share your experiences with me. Shalini is an IT Analyst by profession, avid blogger by passion and a nomad by choice. She is a proud Army Wife, a trained classical dancer, and an aspiring YouTuber. Her ardent love for books, food, and travel brought her to the blogging world. She also blogs at Something's Cooking. When she is not cooking up a storm or writing her heart out, she can be found with her nose buried in a book and her Golden Retriever Mufasa, resting his face on her lap. I stayed in Khuri village….. and did safari there…… while my 10 days travel to the state….. we also enjoyed camel safari at Bikaner….. the state is beautiful and people are good….. enjoyed your post….. I remember our camel rides as kids at the local beach in Mumbai. They were loads of fun. I am glad you did take one to overcome your fear. I have heard a lot about the sand dunes at Jaisalmer and it’s a must-see on our travel list. Glad to see this post. Good Luck to you Shalini. I loved the ride, though, after a point, it isn’t all that fun, and a little painful. Such a detailed post. Love the clicks Shalini! Cheers. I had loved the camel safari I took in Jaisalmer though not to the Sam dunes but the other lesser known one. It was just spectacular and the time I spent with the kids and the husband watching the sunset was truly priceless. Thank you for making those memories come alive. Loved the pics and the writeups. Such a detailed post this was, Shalini. Helpful for anyone who wants to visit the place. I especially loved the clicks. They are beautiful! ? Yeah been there done that Shalini. Truly the best experience I have had in my travel schedule so far. Such a beautifully detailed post! I’m book marking this for my trip whenever I plan it. I did camel safari during my trip and stayed in camp, it was lovely experience. I missed out Rajasthan for a personal crisis and had to come back after reaching Jaipur. For a photographer like me this is like a paradise and someday I will make it and then share my story with you 🙂 Great post and how was the body ache next day? Lovely little write up about Jaisalmer, Shalini. I’ll be bookmarking this for future reference. I’ve ridden a camel once before – maybe 15 years back, on a desert safari trip in Dubai. It’s a very weird but exciting experience. Someone had lot of fun! Camel rides, elephant rides.. they scare the hell out of me. Though, I love to do adventures, but these rides, even if I do, I don’t enjoy them! Jaisalmer is there on my Travel list for sure! This was one enchanting city fir ne to visit too. And camel rides are too darn exciting to be missed. I loved sitting on the dunes as the sun was setting. The peace and bliss was surreal…. OMG I would love to do this! Seems like so much fun! I want to do the Desert Safari in Dubai too! You’re braver than I am. Loved the descriptions and the fantastic pictures, Shalini. Looks so much fun ..
Wow. Wonderful blog with full explanation and beautiful pics too.I have not visited that city. This blog will help me a lot. Thanks. 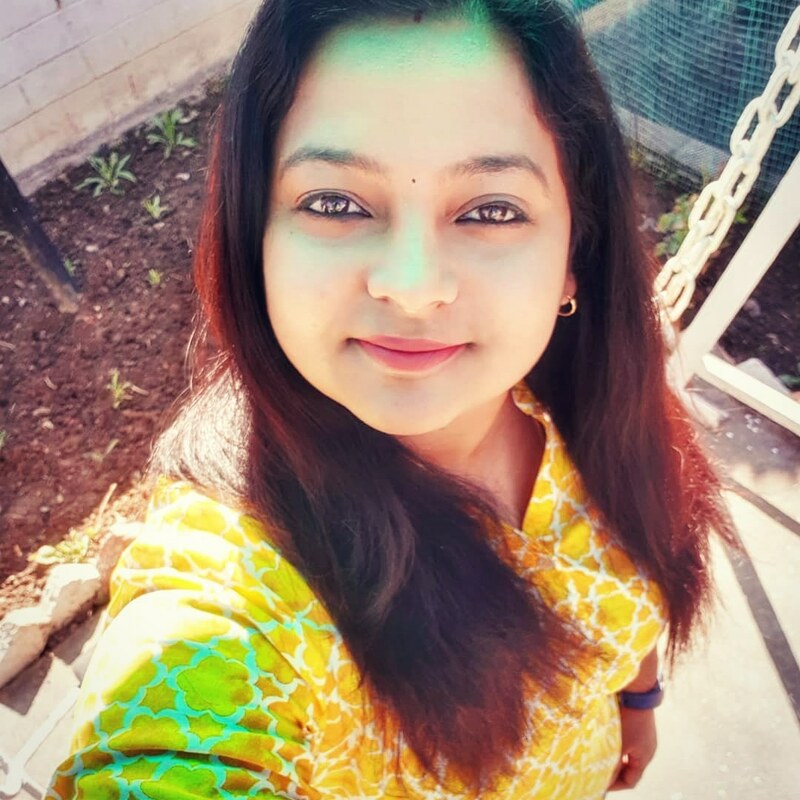 Shalini is an avid blogger by passion with an insatiable curiosity. She is a proud Army Wife who hails from Kerala (but now atop a beautiful hilltop in Uttarakhand), a wayfarer, who globe-trots with her camera, capturing all that's magical.